I was pleased to once again have the opportunity to work on this with landscape architect John Northmore Robers of John Northmore Roberts & Associates in Berkeley, CA. This project is set in the Oakland Hills of California on a house atop a ridge-line. 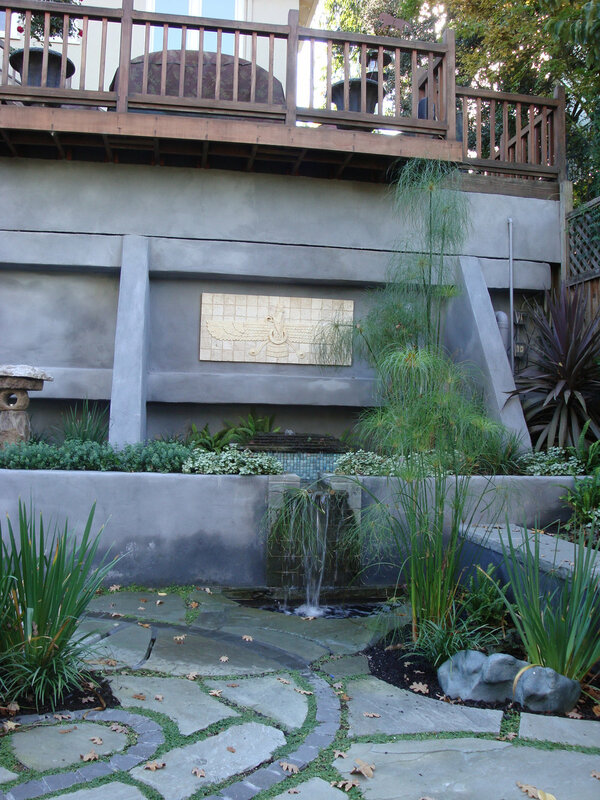 The three-tiered backyard is located on a very steep slope. My clients wanted to create a labyrinth that started on the landing space that is between the first and second levels, and the right and left hemispheres of that second level. In this installation, the contrasting line is actually the path and the empty space surrounding those lines creates this unique design. but where was the air? I found it in my drawing. Air made itself known in the shape of a crane. And construction commenced. The crane-shaped labyrinth is on the left side of the second-tier. On the right side, there is a modified Greek Key, that also gives a nod to the decorative borders found in South America. On the landing, there is a triple spiral from Celtic lore. 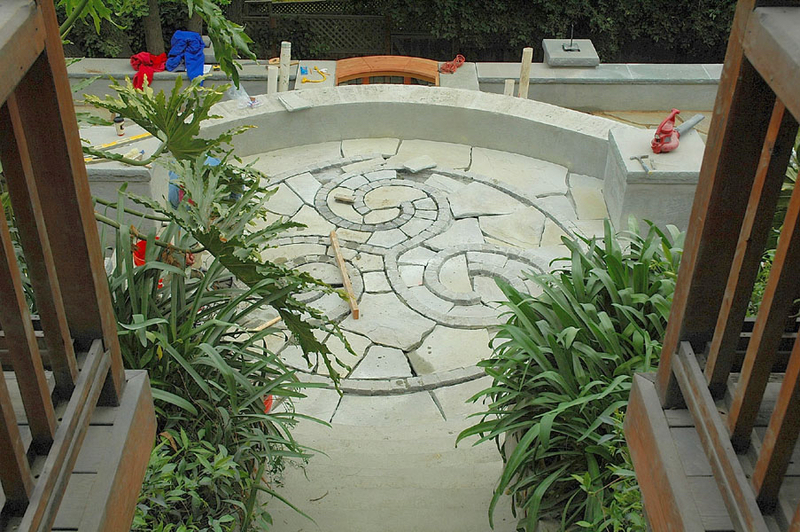 The meandering path connects behind the landing between the two sides with a mandala honoring this family and their "journey of discovery." 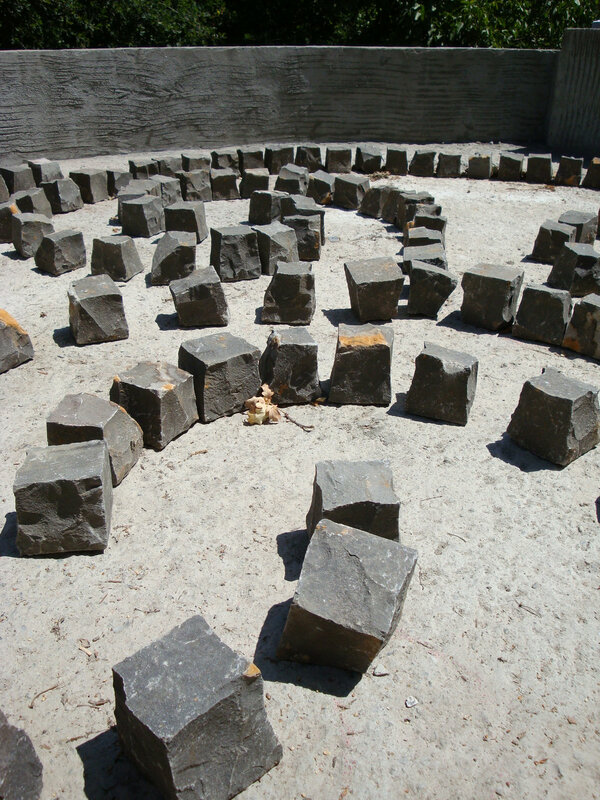 The finished gardens and labyrinth are a place of tranquility and peace, providing a connection between the bustle of city life and touching into the quiet solitude of nature. 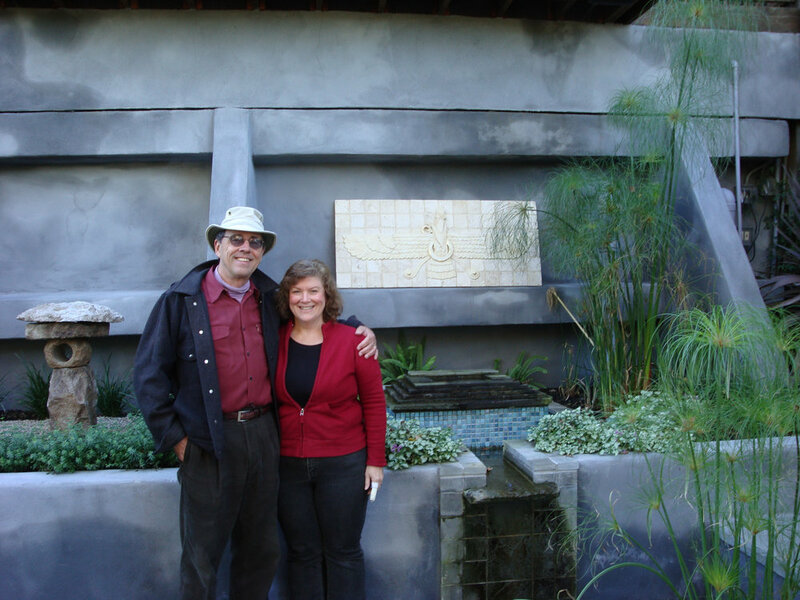 In the foundation niches between the second and first levels, my clients wanted to honor major religions of the world. They asked me to create a panel depicting the Ancient Iranian God Ahuramazda. I used tiles, clay and gold leaf to create this panel that was hung soon after the garden was completed.